Say the word ‘Scott’ to a vintage motorcyclist and watch his or her response: it will be either that of enthusiasm or scorn. The Scott Motorcycle never was mediocre and never provokes a dispassionate reaction! During the 1920’s and 1930’s, when Scott Motorcycles were at their peak, a dedicated throng of enthusiasts ensured these motorcycles gained an almost cult like status: the icons of this cult were the legendary Squirrels, Super Squirrels and Flying Squirrels. The Scott motorcycle was the product of Alfred Angas Scott an engineering genius born in Manningham, near Bradford in 1874. His first motorcycle was built using a homemade twin-cylinder engine installed into the steering head of a modified bicycle. He went on to produce a motorcycle which, on paper at least, would not look out of place in a modern motorcycle catalogue: his machine incorporated water cooling, all-chain drive, telescopic forks, low slung weight and a lightweight duplex frame giving superb road holding. This was in 1908 and these features were to remain an integral part of the Scott motorcycle for the next 70 years. In fact, so advanced and powerful was the early Scott that as soon as its capabilities were known in 1911, it became the victim of official discrimination in competitive events as four stroke machines were often easily beaten by Scott motorcycles of the same capacity. Scott motorcycles were deemed to be over-efficient and therefore their cubic capacity was multiplied by a factor of 1.32 providing Scott with a generous advertising opportunity. No motorcycle manufacturer of the period could achieve full publicity until they had competed in the Isle of Man Tourist Trophy races. Scott was no exception and made several appearances at the TT Races between 1910 and the 1930s. In 1910 a Scott was the first two-stroke motorcycle to complete a full TT course under race conditions and in 1911 a machine ridden by Frank Phillip gained the TT lap record of 50.11 mph continuous average speed. This winning streak continued with Scott motorcycles being the fastest in 1912,1913 and 1914 as well as winning the event in 1912 and 1913. The Great War (1914-1918) halted the production of civilian Scott motorcycles but many were produced for service with the forces in France, Belgium, Russia and the Mediterranean theatres of war. In 1919 Alfred Scott left the company he had founded to pursue the development of the Scott Sociable (an innovative, half-sidecar half-car three-wheeled crab-like vehicle). This did not prove to be as successful as the Scott motorcycle, but the Scott Motorcycle Company was to continue without its founder. In 1923 Alfred Scott died from pneumonia contracted from driving a Sociable in wet clothes after a pot-holing excursion. With Scott Motorcycles back in production after the Great War a new model, the Squirrel, was introduced in 1922. This was followed by the Super Squirrel in 1925 and the Flying Squirrel in 1926. These were the machines which made the Scott Motorcycle truly famous. These machines evolved from a two-speed clutch/transmission into a three-speed gearbox/conventional clutch driven machine. The frame was modified into a stiffer (and heavier) duplex arrangement leading to a new range of machines marketed under the Flying Squirrel name, fondly referred to as “Flyers”. Other variants of the Scott machine such as the Kendal Scott and the Reynolds Special were built to order by second parties and comprised proprietary modifications to suit the customer. In the early 1930s the lightweight two-speed model was dropped from the range. Each new season’s model saw an increase in the weight due to contemporary specification additions contributing to an overall reduction in the performance of the machines and a loss of the ‘slim and low weight’ characteristics of the early machines. The changes culminated in the one of the heaviest models, the 1939 Clubman Special which weighed in at over 400lbs but still had a claimed top speed of over 90mph (mostly down to its highly-tuned engine). Around 1934/35 the Scott Three-cylinder motorcycle made its debut in the form of a water cooled 750cc in-line machine. This was superseded by the 1000cc version and proved to be another example of innovative engineering by the Scott company. 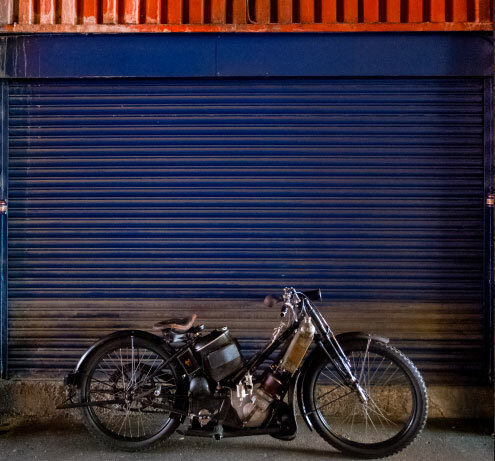 Unfortunately, this motorcycle was never produced in large numbers due to the onset of the Second World War coupled with the company’s dwindling business fortunes. Shortly after the end of the Second World War Scott relaunched the Flying Squirrel. Available in 500 or 600cc form the machine was even heavier than its pre-war predecessor due to the addition of massive wheel hubs. The machine was relatively expensive for the performance it offered, and this did nothing to enhance sales. The company limped on for a few more years until going into voluntary liquidation in 1950. This was not the end of the Scott story. At the end of 1950 the Scott manufacturing rides were bought by Matt Holder who was to restart Scott motorcycle manufacture in Birmingham. In 1956 the Birmingham Scott was announced, a 596cc model with a duplex frame, telescopic fork front and swinging arm rear suspension. The Scott engine (with modified castings) radiator and the pilgrim oil pump remained as characteristic features of the machine. In 1958, a further improved model, the Scott Swift was announced. The engine was fitted with flat top Pistons giving 500cc displacement and capable of 90 miles an hour. Unfortunately, this machine never went into production and Matt Holder reverted to the old-style engine. The Birmingham Scott’s remained in production right up to the end of the 1960’s at which time they still featured some of the key characteristics of the original models. The early 1970’s saw the launch of the Silk Scott, originally built around the Birmingham engine. When manufacturing rights prevented George Silk from building his own copies of the engine he designed his own and put the Silk 700S into production. Silk machines were produced in small numbers until 1979 but could trace their blood-line right back to the first Scott motorcycle of 1908. Even today, in the 21st Century a thriving following of the Scott motorcycle exists. 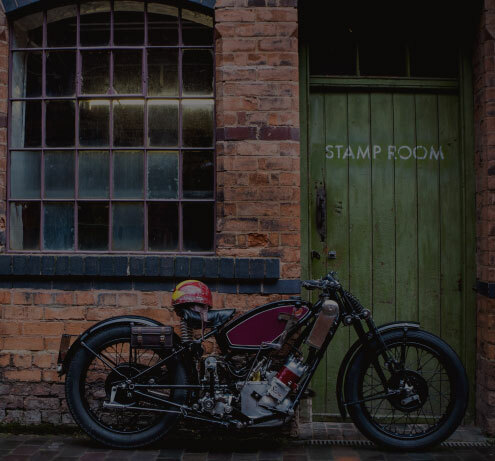 Mostly in the form of Vintage and Classic motorcycling of course but there are still those who continue to develop the Scott motorcycle in their own way. 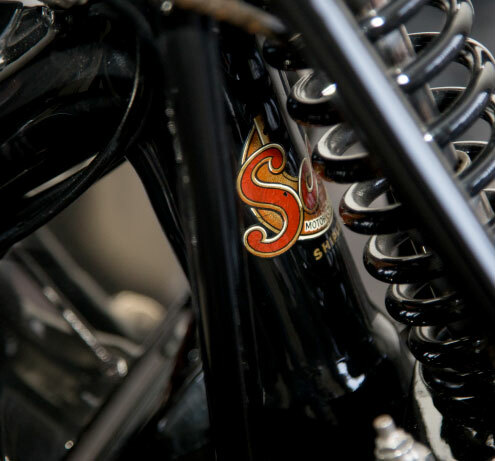 Whether they choose to race, restore or just ride the Scott Motorcycle is not dead yet!